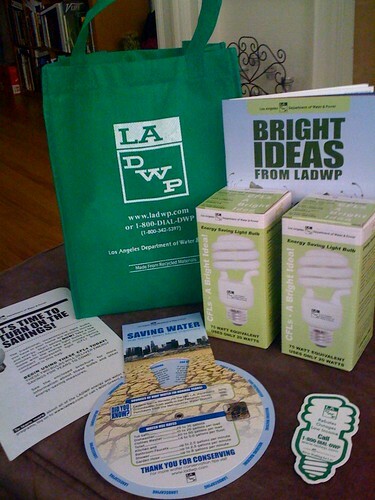 Present from LADWP, originally uploaded by !!! :: jozjozjoz :: !!!. Well it’s not so much a present because I’m pretty sure I paid for it already via my past electrical/water bills. Thanks, LADWP! Even so, it was pretty cool to open the front door and find a little green giftbag sitting there. wow i got one of those last month but it came in a paper bag. i feel cheated!